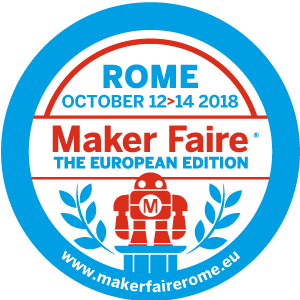 Come and find members of the Raspberry Pi and Code Club teams at Maker Faire Rome from Friday 12 to Sunday 14 October! We will be holding a drop-in workshop where you can learn the basics of programming: make games and animations in Scratch, program your own sparkling LED display with Python, and find out how to use our free and fun resources to teach yourself to code at home and at school! You can also discover how Code Club can help you run free, extra-curricular coding clubs for children aged 9-13.